GS Solid - Roadrunner Rubber Corp. The GS Solid line of Solid Pneumatics offers an economical and efficient option with a wide variety of sizes in both black and non-marking. 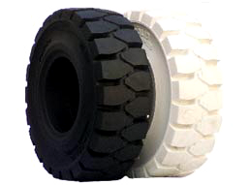 The aggressive tread pattern reduces wear and keeps your machines operating longer.